It’s awesome how angels and crystals work with me the past few days. A few days earlier I was at my crystal supplier getting my usual stocks. But, I want all of them for my next batch. And then at the corner of my eye, I was eyeing a pink and light green crystal called Kunzite. It really caught my attention among others. So, i picked it up along with a selenite wand. 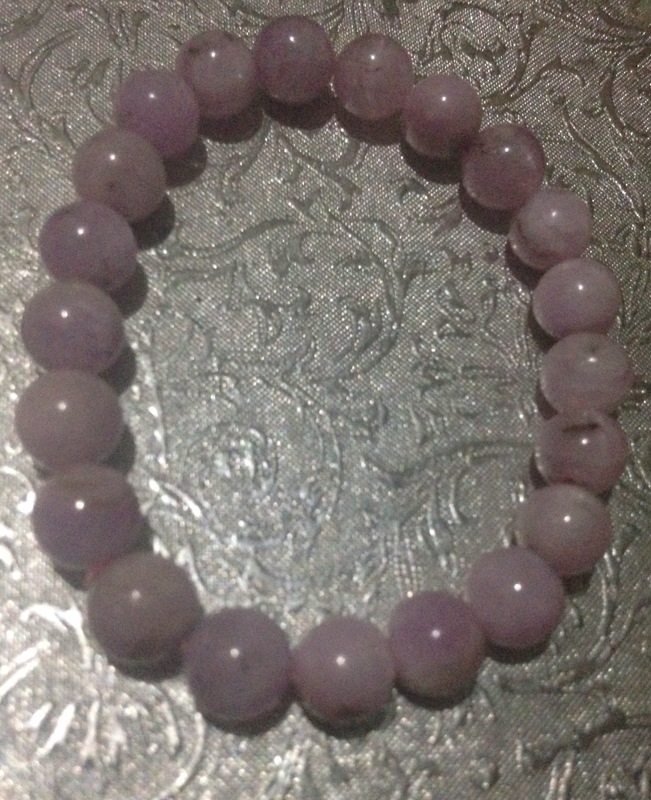 But, seeing the amount, I slowly returned the Kunzite and told my supplier, ill get this next time for myself. Supplier G said: Really. It seems like you really like it. The crystals will bless me too naman. Lahat tayo will be blesed. I was so happy receiving it. But, what is amazing to me aside from having it for free.. Was when I searched the meaning.. It was definetly the stone I am needing! Kunzite is the stone of emotions and a healing stone for heartache. How perfect is that? 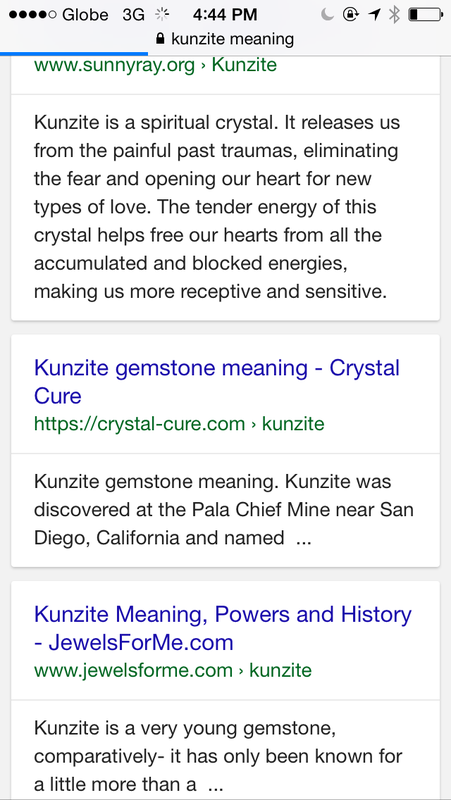 Of all the stone it is kunzite! This is the first time i encountered Kunzite and its just amazing to see the meaning. Also, notice when I searched for the meaning it is 444. and it means the angels are by my side and that they want the best for me and assisting me with theor awesome unconditional love and frequency. The angels are telling me that I am loved. Dreaming of waves is a becoming common in my dreams. Last month, I had two. This month, I had another one. To dream that you are caught in a tidal wave represents an overwhelming emotional issue that demands your attention. You may have been keeping your feelings and negative emotions bottled up inside for too long. You may be holding back tears that you are afraid to express in your waking life. On a positive note, the tidal wave symbolizes the clearing away of old habits. If you are carried away by the tidal wave, then it means that you are ready to make a brand new start in a new place. Well, I guess it’s probably bottled emotions… but then I am able to express and cry it all in bedroom naman eh! You have been directed to read the following before our distant angel card reading session. What is angel oracle card reading? In the ancient times as often depicted jn movies, in their journey or quests and they need to piece a puzzle they look for an oracle to answer their questions. Usually for words of wisdom and oftentimes they dont come easy because they give out riddles. It works the same way, only better because it is not in riddles. Note that this is different from fortune telling, and should be a tool that motivates you to keep you going in whatever direction you are heading and realizing the blocks/challenges along the way. It is in our best understanding that the angels are there wanting to assist us in all levels. But angels cannot if youdon’t ask them because they have a silent code they follow: non interference to the free will of a human being. All the answers provided in the reading session are actually answers that you already know. It will just be highlighted or affirmed and makes you really focus on the issue at hand. It is best to approach the session with an open heart, mind and soul and come relaxed…. We start with a prayer… to call on the angels to guide us. you think of a Question. One question per reading. Make sure your question starts with: How, What or Why. What is your message for me today? What should I learn from this situation? Why does this pattern keep repeating? How will i get through this situation (explain details). Please be specific with your question as well. You need not share to me your question but it would help if you share it to me because we can process the answers of the angels together. 3. It is related to your question as the “root cause”. All readings are 100% accurate. A certain form of energy exchange is requested to complete the giving-receiving cycle. In order, for the blessings to continue to move thru you. Hope this helps! Have a great day! Last week, my sister made me answer: the “Animal Totem Quiz”. And I got hummingbird!! And my boo got my favorite.. butterfly!! Huwaaaa. Anyway, a few days after, I saw 2 hummingbirds outside our home… but I couldn’t get a photo of them because they were darn too quick for me and the camera! And today… what prompted me to acknowledge… the hummingbird? One… it is Earth Day and if you do a Google Search … it feautures a Hummingbird to represent Earth Day. And second? While I was…. browsing Facebook? I saw an article: “How to attract hummingbirds in your backyard”. And to that… I know repeating messages, are no joke…. and so with this post… I acknowledge… and say Yes to it. Saying yes … to joy and lightness of being. It’s St. Patrick’s Day and at the same time it’s Araw ng Davao month for our city…. But today, I got the word “BELIEVE” as a message. Huwaaaaaa. 4 signs of the word Believe came across today. 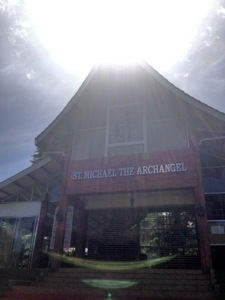 One, on a quote i found of a photo of AA Michael’s chapel… “To believe is to understand” and then two words on different tumblr list sets…. And another one came up during my conversation with Boo…. I’ll hold that in my heart. Oh below is a wonderful Divine photo … Which I will explain sometime soon… And Boo knows why.. And was very discerning to know it contains God’s message. and then she laid her hands on me…and prayed…..
to which I really drank on the words…. and I responded with tears of joy… because I know… at that time..I am grateful God answered my prayer.. with a blessing from another.